Celine Loves her Royal Princess, Ellen. Celine and her daughter Ellen. 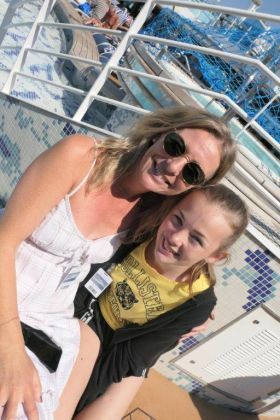 Celine Kenny (Cruisescapes.ie) loves her Royal Princess, Ellen Kenny, on Princess Cruises Royal Princess in Dublin Port.